2) Type msiexec /unreg and press enter and wait until it appears to have finished. 5) Try to install MSN Messenger again. Good luck! Then select the folder "IdentityCRL" remove the folder. Since the error is occuring due to "ppcrlconfig.dll" directory correction. Then run the setup and this time it will be able to install. for NTFS, right click on PROGRAM FILES folder and verify there is no "only read" marked.. if so, unmark it aplying to subfolders as well.. then reinstall MSN Messenger Live and voila! Amazingly, after EVERYTHING... this simple solution of DeGatesment worked! 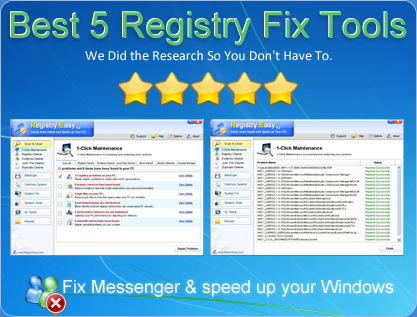 "I should remove the windows live messenger folder by Add/remove program and that I have a newer version installed, although I DID remove it! " This is the same problem I'm getting. It worked for a while, but as soon as I restarted my computer. It wouldn't open up anymore. I even tried uninstalling it, but the uninstallation wizard would also crash. Finally after a lot of tries, I got rid of it. Now that I'm trying to install it again, it won't let me, telling me I already have MSN on my computer. Theres is nothing left on my computer that has anything to do with the messenger, but its telling me I still have the program on my computer. I have the same problem as Halfstar. So if anyone are able to salve this problem, please help. Thanks in advance. To me i came almost 4/5 of the installation, but then it stopt and error code 1603 came. pleas help me! An error occurred during the installation of assembly "Microsoft.Windows.Networking.RtcDll, type="win32", version="5.2.2.1", publicKeyToken="6595b64144ccf1df", processorAchitecture="x86"". Please refer to Help and Support for more information. HRESULT: 0x80070002. Turn off any spyware detection programs running both in the taskbar and in Task Manager. If you have the MicrosoftÂ® WindowsÂ® AntiSpyware (Beta) installed, right-click the Windows AntiSpyware icon in the taskbar notification area and click "Shutdown Microsoft AntiSpyware". To turn off non-Microsoft anti-spyware programs, refer to instructions provided by the manufacturer. Run MSN Messenger Setup again. If this does not resolve the problem, you may not have enough free disk space. The Disk Cleanup tool calculates how to safely free up disk space on your hard disk. * Click Start, and then click Control Panel. * Click Performance and Maintenance. * Click Free up space on your hard disk. * The Disk Cleanup dialog box appears. Click OK to delete the files from these locations. When prompted, click Yes start the disk cleanup. hey i got a problem with my msn ,i wanted to send u the problem via email,but it keep repeat that please enter email.. If there's someone had resolve the problem (after removed windows live9 version but still can't reinstall the older version ) problem pls pls pls post the solution in this forum. And remove live messenger completely! you cannot sign in to windows live messenger because you are using an old verion of windows live messenger. which ran ok. This is obviously the copy it could 'see' that it kept referring to as 'a newer version'.